A science fiction story of survival and emerging friendship, Enemy Mine contains good intentions but is hampered by a desperately poor script and gauche execution. Late in the 21st century, humanity has united and is busy colonizing distant planets. An alien species known as Dracs is in their way, competing for the same resources. After an aerial dogfight, human pilot Willis Davidge (Dennis Quaid) and Drac pilot Jeriba Shigan (Louis Gossett Jr.) crash land on Fyrine IV, an uninhabited and dangerous planet. The two men are initially hostile towards each other and Willis sets out to find and kill his foe. But they soon realize they are stranded in dangerous terrain, where the threats include subterranean monsters and severe meteor storms. They start cooperating to survive, learning each other's language and culture in the process. 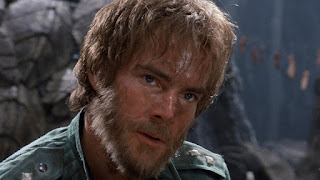 Echoing other enemy-combatants-turn-friends films such as 1968's Hell In The Pacific, Enemy Mine sets out to explore themes of solidarity across living species, and the imperative to look past superficial differences to seek commonalities. The film metaphorically represents every conflict between humans, and by casting Louis Gossett Jr. as the alien and featuring a subplot of Dracs exploited as slaves by human interplanetary scavengers, the film does not stray far from a homegrown call for interracial harmony. Despite all good intentions, director Wolfgang Petersen struggles to deliver an engaging experience. The alien planet landscapes and the overall special effects are questionable, border on amateurish and reek of a grade B production. Humans and Dracs need space suits in their own fighter spacecraft but can both breathe and survive just fine on the surface of Fyrine IV. The Dracs are hermaphrodites, but otherwise remarkably human-like in many characteristics, including movement, sleeping, eating and temperature sensitivity. 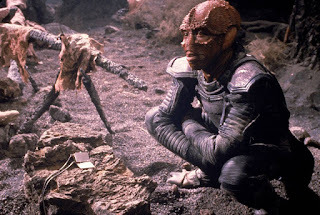 Jeriba (or Jerry, as Willis insists on calling him) is never convincing as anything other than Louis Gossett Jr in a rubbery suit not far removed from the Creature From The Black Lagoon. Worse still is a script by Edward Khmara filled with stilted dialogue that was old on planet Earth in 1985, with not a hint of evolution neither in human thinking nor basic technology. Late in the 21st century, humans are apparently still using cliched 1980s language expressions and firing pistols with bullets at each other deep in space. Dennis Quaid is horribly miscast, alternating beyond angry but dim pilot mode and aw-shucks good-old-boy mannerisms. Louis Gossett Jr fights through the layers of bad cosmetics to frequently rise above the material. 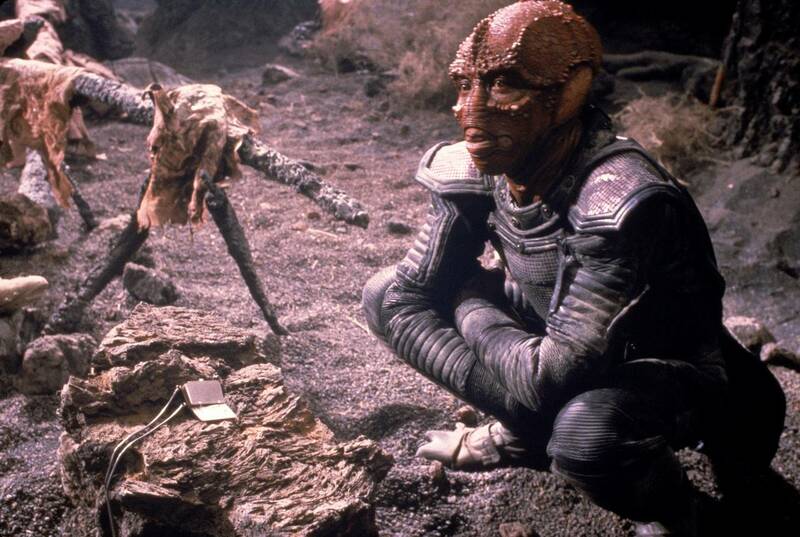 Enemy Mine advocates tolerance, but the message is delivered with awkward inelegance. Labels: Dennis Quaid, Louis Gossett Jr.